Free pizza at The Stable, Bristol Harbourside, on Wednesday, March 12! 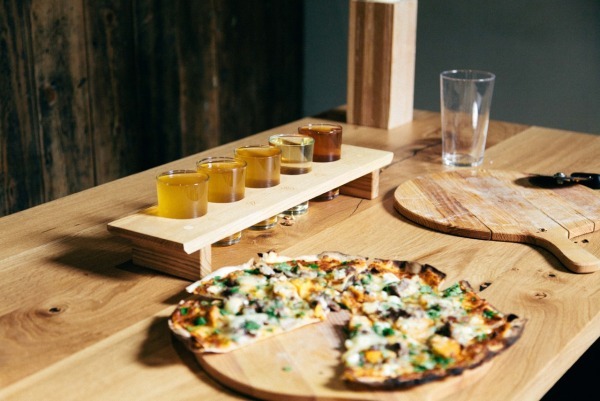 Gourmet pizza and cider restaurant The Stable will be hosting an evening of free pizza at their restaurant on The Harbourside on Wednesday 12th March. The Stable, which serves gourmet pizzas, artisan pies and over 80 different varieties of cider, has announced the date of the free pizza evening as a result of achieving 1000 new “likes” on their Facebook homepage. Every customer from 6.30pm onwards will receive a free pizza on the night. “We thought this would be a great way to thank all those who have followed and supported us since we started up five years ago.” says co-founder Nikki Cooper. “This is the first time we have run a free pizza night simultaneously across all five restaurants and we’re really excited about it- it’s going to be a great night! We’re offering every customer a free pizza and really want to share the love as much as possible!” Nikki continues “Facebook is a brilliant way for us to communicate events and offers like this and connect with our customers. It’s been really great seeing how interest in the campaign has spread”. The first Stable was opened in October 2009 in an original 16th century stable block at the back of The Bull Hotel in Bridport. Serving up West Country pizzas, artisan pies and local cider, The Stable soon spread its wings to Weymouth before opening up sites in Bristol, Bath and Poole. The sixth Stable will be opening its doors on Fistral Beach at the beginning of April.